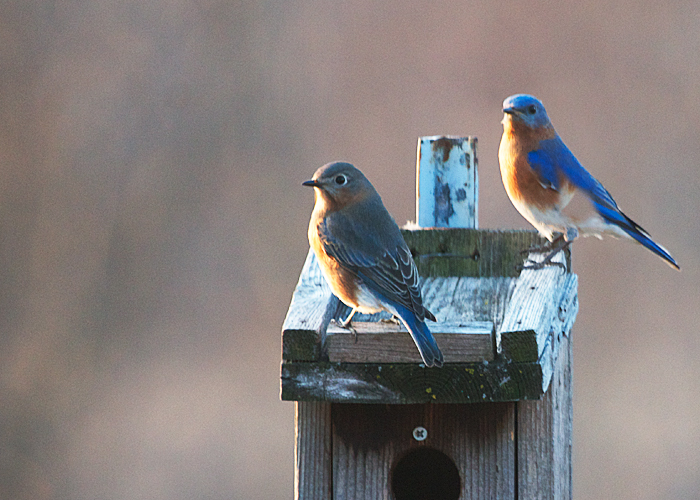 On the last day of January, a pair of bluebirds did some house shopping. Could be that they're just lookie loos, but I rather think they will sign the contract and move in within a couple of months. Tempt your bluebirds to come up close. Offer them live mealworms in their own feeder. This mealworm feeder will outlast wood. It's made of recycled plastic, so it helps the environment, too.